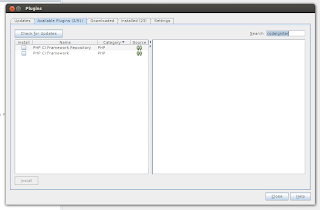 Registering CI Archive Files(now only Core and Reactor 2.0.x) in NetBeans as Project Template. Creating template file for auto-completion. I assume that you have the latest version both Netbeans and CodeIgniter. When I write this post, the latest version of them are Netbeans 7.2 and CodeIgniter 2.1.2. Name: Type whatever you like. Check the two plugins and click "Install" and follow on screen instruction. 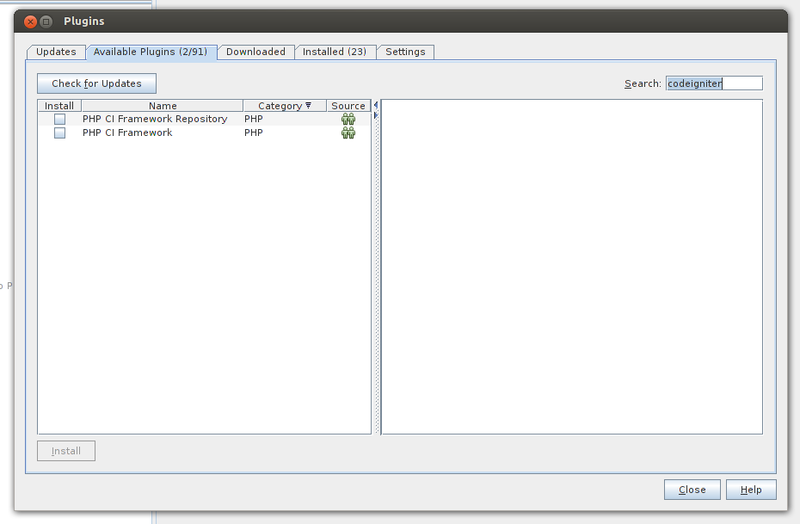 Once installed, you need to download zip archive of CodeIgniter you are working on (only CodeIgniter 2.x.x supported). For example, you are working on CodeIgniter 2.1.2, so you need to download that version too. Put the downloaded zip in place easy to remember. 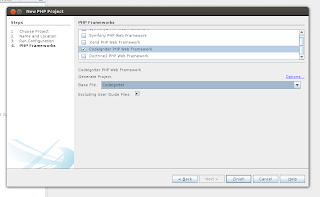 From Netbeans menu, navigate to "Tools > Options" select "PHP" section and then select "CodeIgniter" tab. 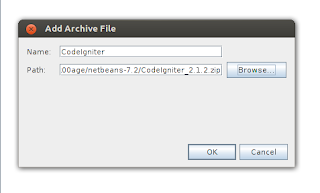 Click on "Base Files" and click "Add Zip ...", please locate the ZIP file of CodeIgniter you've downloaded before. 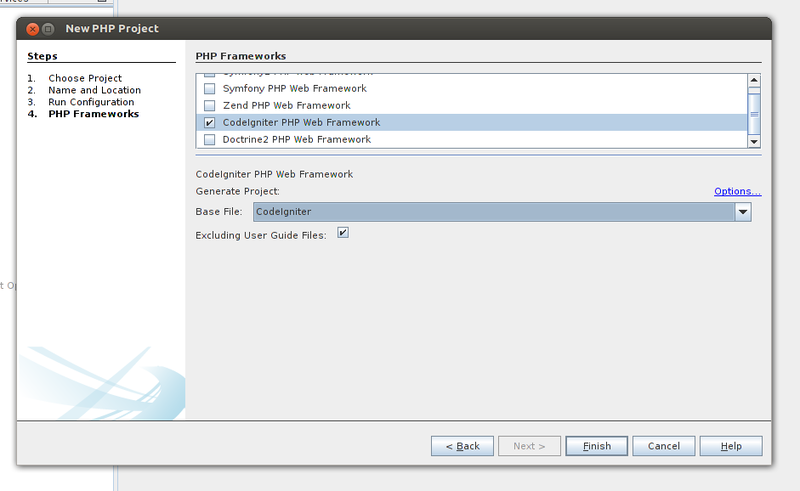 When creating a new PHP project, you can choose CodeIgniter as a project framework!